California Gov. Gavin Newsom has named Dr. Linda Darling-Hammond, a professor emeritus at Stanford University, to lead California’s State Board of Education. Darling-Hammond who also chairs the California Commission on Teacher Credentialing, will become the first African-American woman to head the 11-person state board that is a significant factor in determining and monitoring implementation of several education policies and reforms in the largest school system in the United States. 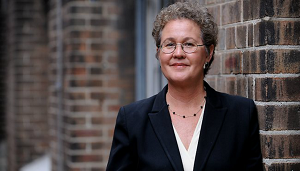 Darling-Hammond left Stanford in 2015 to establish the Learning Policy Institute, a research and policy organization based in Palo Alto, of which she leads as president and CEO. She also is a former president of the American Educational Research Association and has authored more than 500 publications. Darling-Hammond will likely be a key player in helping Newsom accomplish his campaign pledge to create a “cradle-to-career” education system in the state. Her appointment also shows that Newsom is pursuing to keep several important K-1 education policies introduced by former Gov. Jerry Brown over the past eight years. Darling-Hammond has publicly expressed her support of those policies, several of which she even helped formulate in past discussions with Brown.